Smartphones with two or three lenses are all the rage at the moment. 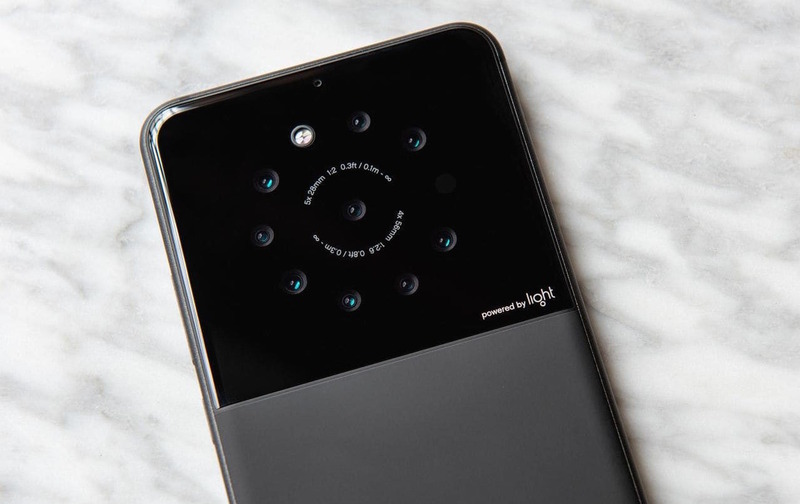 While there is even talk that LG could deliver a smartphone with as many as five lenses, photography start up Light has just revealed a working smartphone camera prototype with a whopping nine lenses. When combined, the light from each lens is stiched together to deliver a 64-megapixel shot with detail normally only seen on a DSLR. Light debuted its protoype design in an article from the Washington Post, which examines the cutting-edge technologies coming to smartphones. It is working on designs with five lenses, ranging through to the nine lens beast pictured. The technology works by positioning each lens at a slightly different angle to capture a slightly different focal lenght. Using its prioprietary software, Light is then able to stitch the multiple images together to create a highly detailed image comparable to a professional camera. The Light solution is unlikely to be cheap; its L16 standalone camera retails for US$1950. However, given the apparent consumer appetite for ultra-premium smartphones like the Huawei Mate RS Porsche Design and the Oppo Find X Lamborghini Edition costing around as much as the L16, Light could well find a niche for smartphone makers looking to deliver the ultimate smartphone camera experience. Unless it decides to go it alone, and produce its own high-end smartphone rather than sell modules to third-parties.